In the past, if there was a problem with the sewer pipes, plumbers would be forced to dig up the pipes in order to fix them. This resulted in homeowners’ landscapes being destroyed, creating more costs and inefficient labor work. Now, modern technology allows us to repair the pipes without having to dig a single trench. This innovative method is called trenchless sewer pipe lining, and here at Pipe Surgeons, we pride ourselves in utilizing this to give our customers the best, most efficient services. Trenchless sewer pipe lining is a sewer repair method in which we strengthen the sewer pipes by adding a lining around them. An epoxy resin liner is inserted into the damaged sewer pipe through a single access point. The plumber inflates the liner, and as it expands in size, it positions itself around the inside lining of the sewer pipes. It forms a new sewer pipe inside the old one. Trenchless sewer pipe lining is less intrusive than the traditional sewer repair method. Plumbers will use a single access point through a small hole in the yard to fix the pipe, instead of digging through the garden or driveway to reach the pipes. Trenchless sewer pipe lining is faster. This method allows the repairs to be completed within a single day. 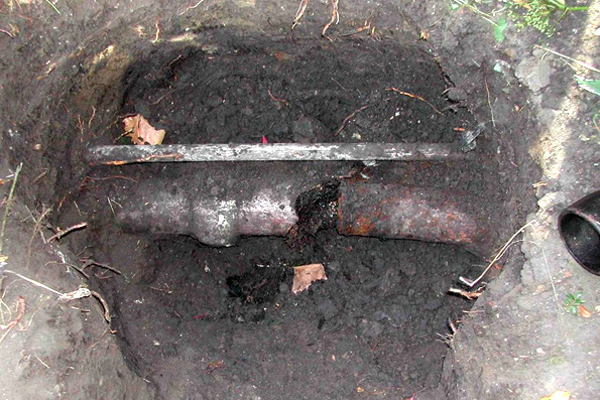 Trenchless sewer pipe lining is less costly than the average sewer repair method. Because the plumbers won’t need to dig through the garden or driveway, this prevents additional landscaping costs from accruing. In addition, trenchless sewer pipe lining doesn’t require as much labor, saving the customer from having to pay for hourly labor rates. Trenchless sewer repair is safer than traditional repair method. Traditional methods of digging through the ground to access the sewer often release harmful gases into the air, potentially putting the homeowners at risk. The Trenchless Sewer Pipe Lining method avoids this, protecting the homeowners from dangerous gases. Accurate sewer pipe repair. Before starting any sewer repair, a technician will perform a sewer camera inspection of the pipes, providing an accurate diagnosis of the situation. Doing this allows us to come up with the best solution. Trenchless Sewer Pipe Lining is durable. Trenchless sewer pipe lining guarantees a 50-year warranty for the pipes, preventing homeowners from needing to replace them more than once. Our plumbers at Pipe Surgeons will be able to help with all your queries. You can book a free inspection of your sewer pipes today. You know that a company cares about the quality of their work when they stand behind it. We have some of the best Vero Beach sewer pipe repair and pipe installation warranties and guarantees in the industry because we know our staff and our products are the best in the business. Our passionate technicians are friendly, clean, polite, drug-free, and experienced while both our parts and products are state-of-the-art—guaranteed!